Eduardo Eurnekian, Jean Marie Fox accompanied by his grandaughter and great-granddaughter, and Baruch Tenembaum. 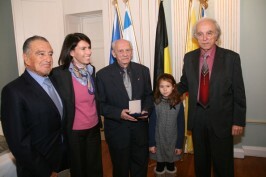 On 12 December 2012 the International Raoul Wallenberg Foundation presented a special recognition to Jean-Marie Fox, a Belgian teacher that saved the lives of scores of persecuted Jews during the Holocaust. 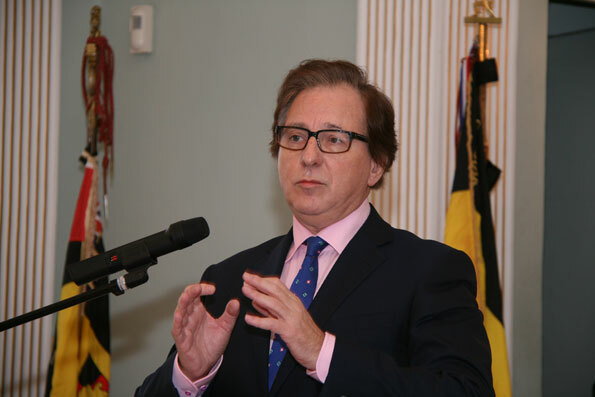 The ceremony took place at the Palais Provincial in the city of Arlon, province of Luxembourg, Belgium. Messrs. Eduardo Eurnekian and Baruch Tenembaum, Chairman and Founder of the IRWF, respectively, attended the ceremony. Among the attendants were the Governor of the City of Arlon, Bernard Caprasse; Chief of Staff, Bruno Andrieu; Ambassador Patrick Nothomb (Counsellor of the Governor); members of the Municipality of Arlon, members of the Jewish Community, Mr. Jacque Funklender, Manager of the association “L’enfant cache” and several Belgian WWII veterans. Governor Caprasse gave a moving speech stressing the importance of paying tribute to the rescuers, today more than ever. Moved into tears he told the story of a Jewish family which during the war was helped by Caprasse’s mother, who kept it as a secret until a few years ago. Danny Rainer, IRWF Vicepresident, spoke of the importance of recognizing rescuers such as Mr. Fox. “As human beings, we have excellent reflex to identify evil, but we are not so sharp when it comes to recognize goodness.”, he said. He also stated that gratitude and recognition never expire, and that’s how, 70 years later, “we all stand here and salute this great hero”. 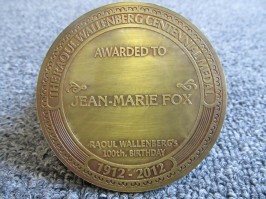 Centennial Medal awarded to Jean Marie Fox. 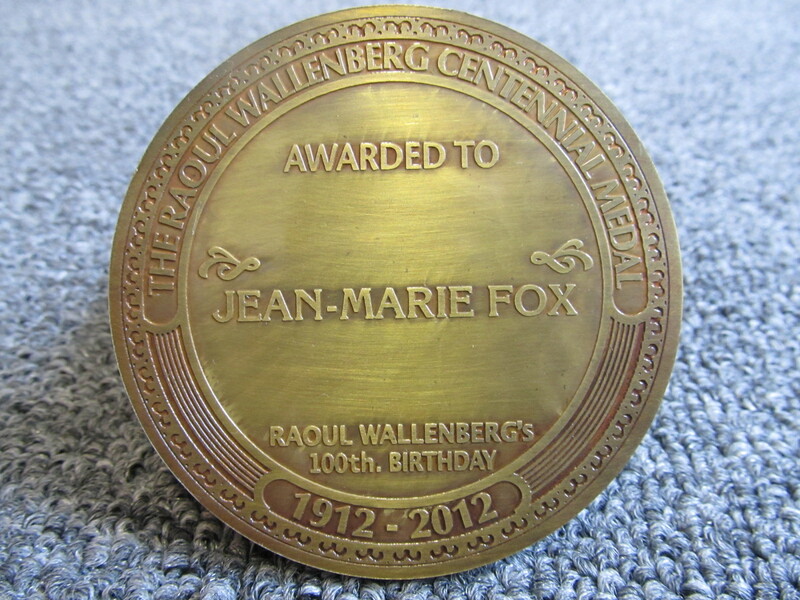 Governor Caprasse and Mr. Eurnekian presented the “Wallenberg Centennial Medal” to Mr. Fox, who came with his granddaughter and greatgranddaughter. Afterwards, Mr. Fox gave his speech and said that he fulfilled his duty as human being. Closing the ceremony, Mr. Eurnekian presented to Governor Caprasse a portrait of Wallenberg made by the late Peter Malkin, the same man that first grabbed WWII criminal Adolf Eichman, in 1960. Mr. Rainer explained the symbolism of the portrait, “With the same hands”, stating that the same hands that caught Eichmann, painted Wallenberg. Next article: Hero or victim?